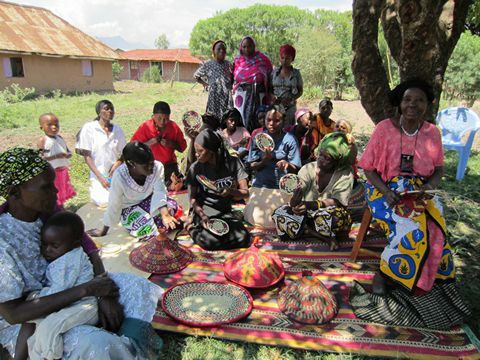 Growing livelihoods, overcoming poverty, one small business at a time. To enable the very poor in developing countries to build a pathway out of poverty through small business development. Working through partner organisations in developing countries, we facilitate local microfinance schemes which respond directly to the needs of vulnerable rural and urban communities. Just Small Change is a Registered Charity. We are delighted to introduce our new Project Coordinator, Ms Roselyne Okanda, who joined the project at the start of the year. 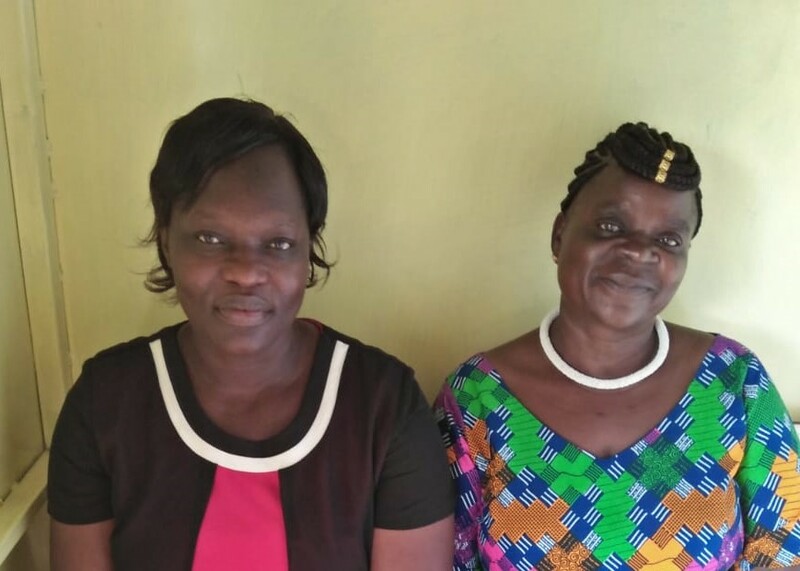 Roselyne (on the left) will be working closely with Angelina (on the right) to strengthen and expand the much-needed work in Kisumu. Plans are in place to train a further 150 clients over the year as well as to continue the mentoring of existing clients. In early 2018, we published our first Impact Report, which you can find under the Reports tab. 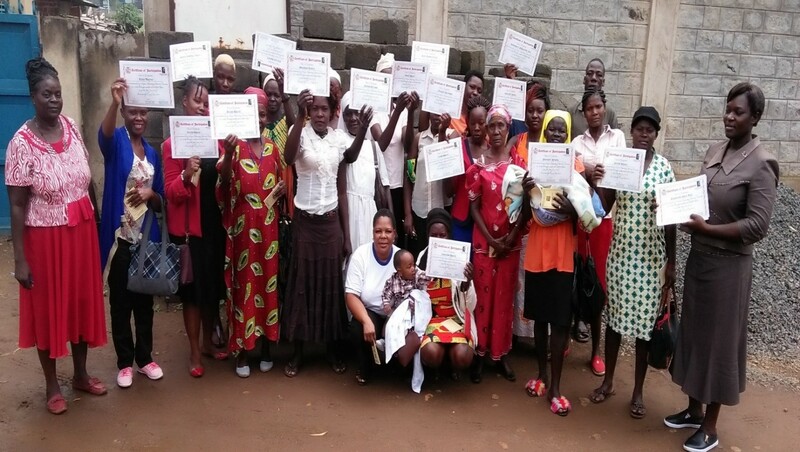 Next, 25 ladies received business training in March, and a further 25 in June. The June training, as well as the loans for these 25 new clients, was generously funded by the parish of Our Lady of Lourdes, Harpenden. In July, on finally reaching the end of the school year in the UK, we were delighted to receive a generous cheque from Year 6 at St Gregory's School, Stratford upon Avon. The children had raised the funds through running micro businesses themselves. We are grateful for the many other generous donations we have received during the year too. 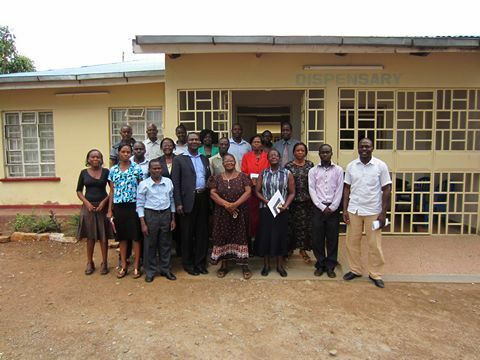 In October we made a short visit to Kisumu. While we were there we met with almost 40 clients, visiting their businesses and hearing at first hand about their successes, challenges and hopes for the future. 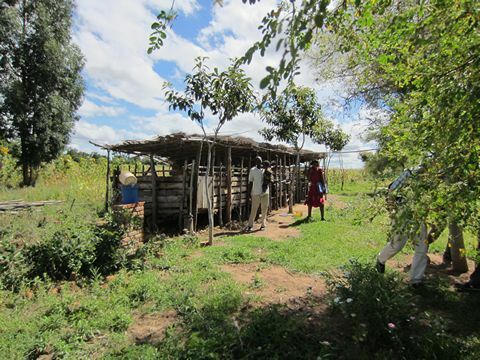 We were very impressed with their determination to succeed in building a better life. We also attended table banking meetings. Table banking was introduced to our programme this year to improve its sustainability by encouraging clients to save. You can read more about how table banking works here. In line with our commitment to use100% of all donations to fund the work of Just Small Change, the cost of the visit was funded privately by the trustees. In March, Angelina trained 25 new clients, advancing loans to them all in April. In May we made a short trip to our partners in Kisumu, where we met 29 clients, visited their businesses and discussed with them their challenges, hopes and plans for the future. 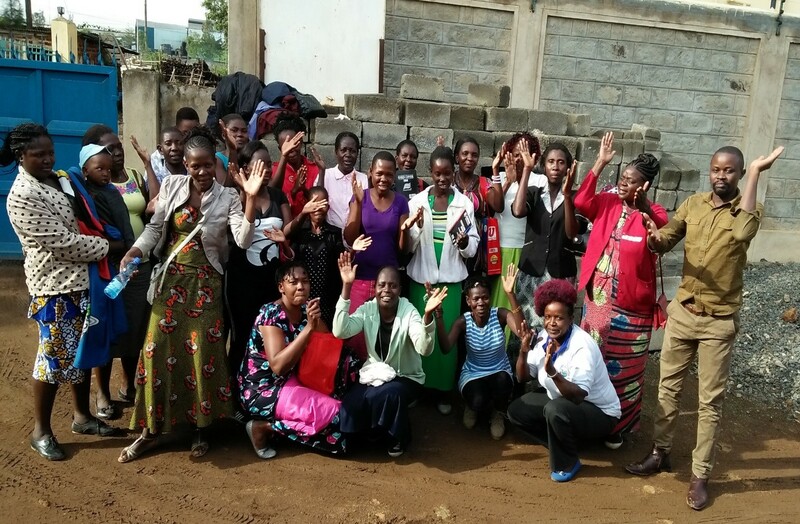 We are immensely encouraged by the improvements in income, nutrition and housing which these ladies had achieved through running their businesses. Their self esteem had grown; they now felt they had a voice in the community. It was great to meet Angelina, the project coordinator for the first time, and to see her at work. This visit was funded privately by the trustees, at no cost to Just Small Change. In June and July 2017, Angelina ran two more 5 day business training courses. Here are the participants, with their training certificates. By November 2017, Angelina had advanced start up loans to all these ladies. By July 2018, 29 of them had fully repaid their loans and borrowed again, this time for a larger amount of Ksh 20,000, which they use to expand their businesses. we believe that microfinance is a sustainable means of tackling poverty, which leads to lasting personal and economic development. Business training, small loans and ongoing mentoring empower our clients to build businesses, support their families and transform their communities. As loans are repaid, the capital becomes available to re-lend to another aspiring entrepreneur. LOW COST: Working with UK volunteers and local partner charities in the field keeps our costs to an absolute minimum, ensuring your donation has maximum impact in transforming lives in developing countries. DIRECT LINK: Our close links with local partners means we can provide feedback to our UK donors on the progress of businesses & improvement in the lives of people. Most of our clients have very little prior experience of handling money or of business. We offer training and business support to enable them to gain the skills needed to repay a loan and run a successful business. A five day training course covers topics such as costing and pricing, working as a group, managing their money and understanding their rights and responsibilities. 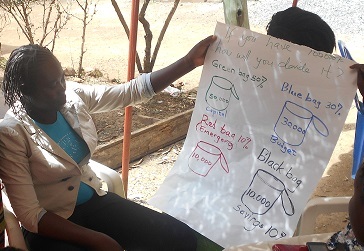 This training is delivered through role plays and games so that it is accessible to women with no formal education. Ongoing mentoring is provided once the business is up and running too, via regular visits from Angelina, the programme coordinator. Consisting of 5-10 entrepreneurs from the same area, trust groups meet regularly to discuss the progress of their businesses and receive training. By exchanging ideas and encouraging each other, loan repayment rates are increased. Lasting and supportive relationships are formed in these groups - one has even organized a monthly kitchen utensil merry-go round to share their kitchen equipment. The meetings are also used as an opportunity for additional training on topics relevant to the social issues facing the group eg HIV prevention or health education. 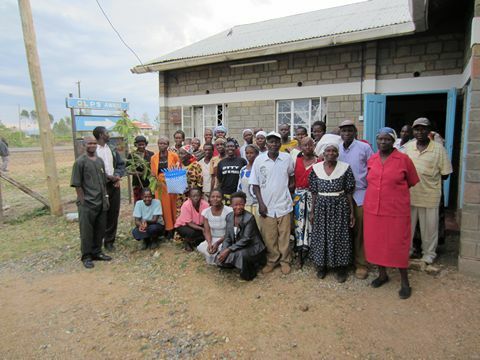 We work through local field partners who are already closely involved with marginalized communities. This ensures your donation reaches the most needy as efficiently as possible. We believe that with suitable training and support, microfinance has the power to unlock the personal and economic potential of the poorest communities, allowing them the opportunity to achieve a life free from poverty, with dignity and purpose. As Christians, we are responding to Jesus Christ’s call to love and serve the poor. We serve all people regardless of race, faith, ethnicity and gender. Despite growth resulting from gold production and tourism, Tanzania remains one of the most impoverished countries in the world. Approximately 36 percent of Tanzanians live below the poverty line. Yet the country’s economic potential is unmistakable. One out of every three Tanzanians is self-employed, indicating a high level of microenterprise activity. Only 20 percent of the population, however, has access to a formal bank within an hour’s walking distance of their home. 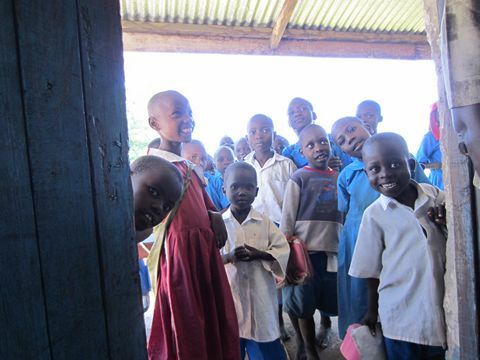 Kenya is among the world’s 30 poorest countries and is home to one of the world’s harshest HIV and AIDS epidemics. More than a half of the country’s population lives below the poverty line, on less that one US dollar a day. With an estimated population of 436,000, Kisumu has one of Kenya’s highest poverty levels and worst set of health indicators. Approximately 22-25% of the population is HIV positive. Just Small Change is established as a UK Charitable Incorporated Organisation. Gerard Adams, Jane Donaghue, Peter Donaghue & Andrew Maher.